This non-themed anthology of horror features never-before-published works by: M. Louis Dixon, John McIlveen, Jack Ketchum, Rebecca J. Allred, Dan Waters, Michael Bailey, John Boden, Trent Zelazny & Brian Knight, Bob Pastorella, Peter Salomon, Carol Pierson Holding, Steve Rasnic Tem, Darren O. Godfrey, David Annandale, Anya Martin, G. Daniel Gunn & Paul Tremblay, Gordon White, Sean M. Davis, Tim Waggoner, Bradley Michael Zerbe, and Gary A. Braunbeck. Also included, one amazing previously published novelette by David Morrell. 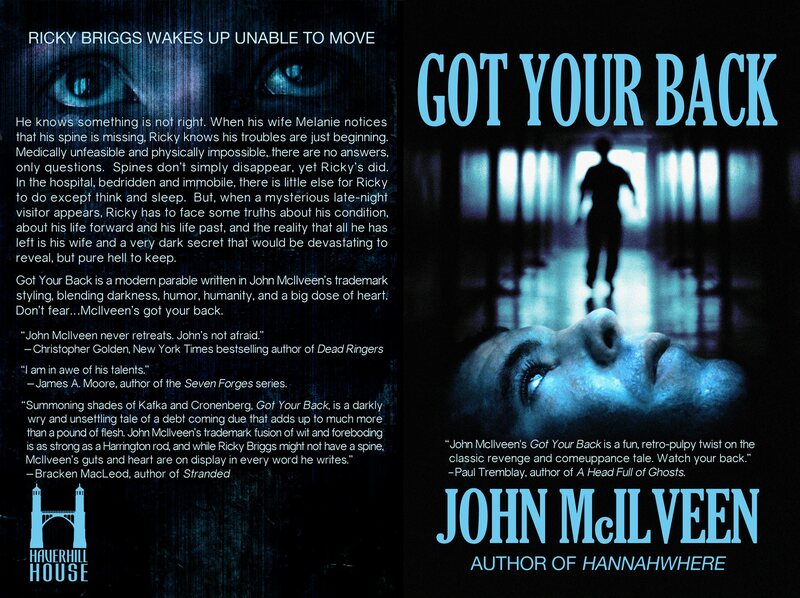 Click HERE to purchase the eBook for $5.99 or trade paperback edition (left image) for $15.99. Click HERE to get the limited edition hardcover (right image), for $50. Limited to 250 copies signed by all contributors. The eBook for my novel Hannahwhere, which won Ireland’s Drunken Druid Award for high literary merit and was nominated for the Bram Stoker Award in America, is on sale for $0.99 for the next week. — James A. Moore, author of the SEVEN FORGES series. If you buy the PB, the eBook is free.